A South African based think tank, the Institute for Security Studies (ISS), believes that the recent call by the Zimbabwean government, urging those who fled the country to return home was a step in the right direction, but it warned that the country needed to deal with its cash shortages first. In an interview with News24, ISS senior researcher, Derek Matyszak, said that the country was in need of serious investments. "The market is pretty open, the problem is finding investments that produce saleable commodities and are not just infrastructure projects. And when a company sells the produce how does it get its money out of the country when there are too few US dollars in the system and people are being paid in cyber money?, that is the question that is worrisome," said Matyszak. Zimbabwe's consul general Henry Mukonoweshuro told expatriates recently that they should return to Zimbabwe and help the new dispensation in rebuilding the country. Mukonoweshuro said this while speaking at the Zimbabwe Achievers Awards ceremony in Johannesburg. Mukonoweshuro appealed to Zimbabweans based in South Africa to seriously consider moving back and investing in their motherland, which was now under a new dispensation led by President Emmerson Mnangagwa. "As we meet today, in the new dispensation as we called it since last November, the government of Zimbabwe is very proud. We, as the representatives of the government of Zimbabwe are very proud to say as you toil, as you make names in these foreign lands, you should now start looking north of the Limpopo (River). 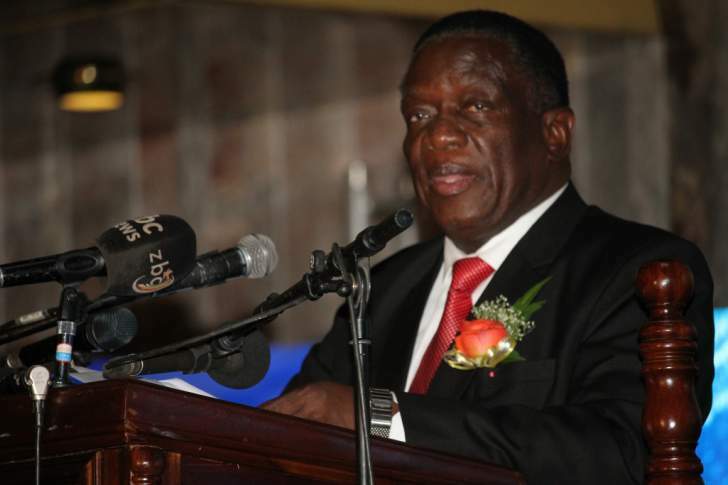 As the president (Mnangagwa) always says, his mantra - Zimbabwe is now open for business," said Mukonoweshuro. Matyszak warned that it would be premature to call Zimbabweans back home, as there were a few jobs and no infrastructure in the southern African country right now. According to Africa Check, the numbers of Zimbabwean nationals who were in the country could not be substantiated and the available data was unreliable. But, according to a report published on SW Radio Africa's website in 2013, it was believed that between two and three million Zimbabweans were living and working in South Africa. "There is no point in heeding the call to come home, until there are jobs. Jobs first, return second...people returning without jobs will cause social unrest," said Matyszak. He also maintained that even those who were returning with intentions to invest in the country, could also face challenges due to the country's cash shortages. "Investors won't come until they know that there are enough US dollars in the system for them to get their money, but there will not be enough US dollars in the system until investors come and start generating it," said Matyszak.